It’s summer now and this is the PERFECT time to work on new things that will support you in becoming a more REFINED ballplayer. The question is, “are you going to put in the work”? Are you going to listen and implement the advice like what is shared here for free? Are you going to get clear as to what you need to do to get to where you want to be so that you can experience what you want to experience as a ballplayer? How BAD do you want to be GOOD when you dig into the batter’s box? Take a tip from this hitting lesson with Yasiel Puig as we break down how he went about driving this fast-ball that was up in the zone, out of the park. If you don’t get excited when watching Yasiel Puig hit, I’d check your pulse and call 911 because you’re flatlining!! I hope you enjoy this “How to hit a baseball” swing analysis series with Yasiel Puig. Let me know if you have any hitting questions. What do you think of Yasiel Puig’s Swing? 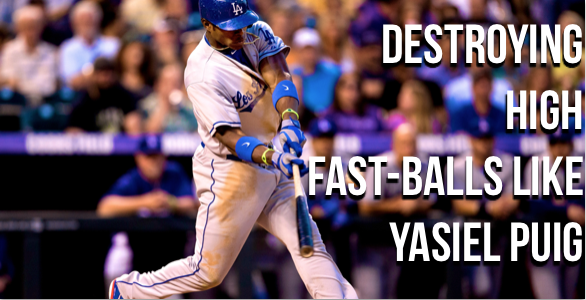 Is your approach simliar to Yasiel Puig’s? 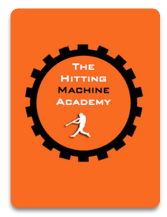 How are you going to implement the hitting advice in this swing analysis video? What kinds of hitting drills have you already been doing? Next post: Giancarlo (MIKE) Stanton’s KILLER swing break down.